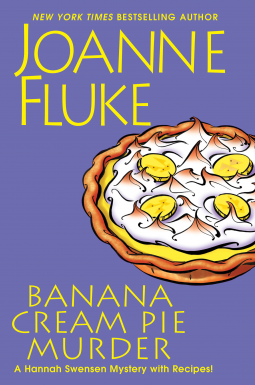 Hannah and the whole Lake Eden crew are back in Banana Cream Pie Murder to solve the latest killing in their small town. Hannah’s mother discovers the body this time, just before Hannah returns from her honeymoon cruise. It’s full steam ahead when Hannah and hubby arrive home and they are tossed into the investigation, along with two very busy careers – her cookie store and Ross’ thriving television career – all while they’re settling into married life. of the danger and the action, following clues, discovering and discarding red herrings and figuring out whodunit in this latest installment of the fun, popular series. Fans will not be disappointed…especially with the great twist at the end that will have readers eagerly awaiting the next release in the series from author Joanne Fluke. Welcome to my Libby's Musings. I'll be updating regularly, so I hope you stop by and check it out.